Ted and wife Kitty wrestle with finding a new cleaner. Stars Ted Ray, Kitty Bluett and Peter Sellers. From April 1954. When Mrs Easy quits, Ted and wife Kitty wrestle with finding a new cleaner. With Kitty Bluett, Peter Sellers, Patricia Hayes, Charles Hawtrey and Kenneth Connor. Ray's A Laugh - the successor to ITMA - follows the comedy exploits of Ted's life at home with his 'radio' wife Kitty, as well as in a variety of jobs. It ran from 1949-1961. Scripted by Eddie Maguire, George Wadmore and Ted Ray. Music from Bob & Alf Pearson and The Beaux and The Belles. BBC Variety Orchestra conducted by Paul Fenoulhet. 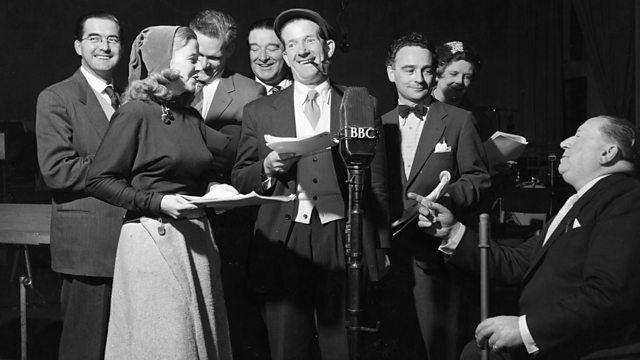 First broadcast on the BBC Home Service in April 1954.